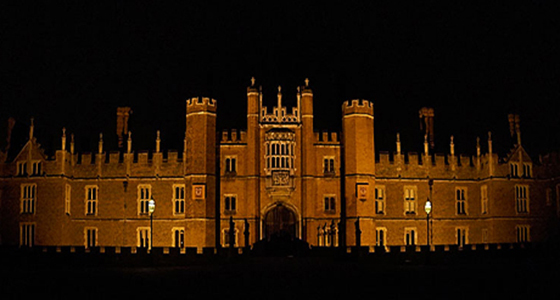 Hampton Court Palace is the most magnificent tudor edifice, synonumous with King Henry VIII, his six wives and the associated religious and political schisms of the era. If one was to choose a historical location in which to investigate reported paranormal phenomena, then surely this palace must be it. Nearly one million visitors pass through the gates of Hampton Court Palace each year, making it quite a busy place in the day time and not condusive to EVP or paranormal research. Fortunately we are to stay at the palace whilst we continue our ongoing study of its very vocal past residents. When the guests leave and the warders lock the gates, the palace once again becomes the playground to those of the past.